Carl is currently the Trade Finance Head  for the Sub Sahara Africa Cluster  and also double hats as the Trade Head for East Africa. Carl is located in Nairobi, Kenya leading a team of  18 Product Managers  in 11 SSA countries  with a direct P&L responsibility of generating 11MM and 14 MM in  revenues respectively. He is  also  a member of the Wiseman Counsel in Kenya which advises the COO from time to time on pertinent issues relating to the business. Prior to joining CITI in 2014  , Carl has   held  several senior    positions in a career spanning 18 years spanning with five leading Regional  Banks across Africa, including  most recently as at Standard Chartered  Bank  as Head of Structured Trade Solutions East Africa  and Trade Finance Head at  TDB a regional DFI as well as a stint as   Corporate Banking Head at Standard Bank  Africa. 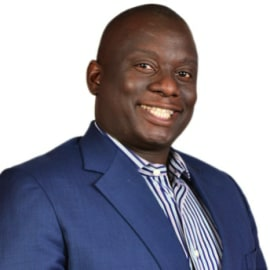 Carl  is widely recognised as an industry expert in Sub Sahara Africa Trade Finance and is frequently requested to represent CITI as a thought leader  and trusted advisor in in space at various regional for a including GTR , World Bank / IFC and  other conferences focused on  Trade Finance in Sub Sahara Africa. Carl has an Honours degree in Applied Accounting from  Oxford Brookes University  in the UK and is a Fellow of the Association of Chartered Certified Accountants  ( F.C.C.A) and is a Certified   Trade Finance Professional.